"This is what the god of this world works in those children of unbelief [2 Cor. 4:4, Eph. 2:2] who do not submit their will to reason, nor apply themselves to the study of doctrine. Instead, they strive to make the words of wisdom fit what they have dreamed up; they follow not the reason of truth, but of what pleases them. Their evil will incites such people not to an understanding of the truth, but to the defense of what has pleased them; they do not desire to be taught the truth, but turn their ears away from it and toward fables. [2 Tim. 4:4]"
1. Philipp W. Rosemann, Peter Lombard (Oxford: Oxford University Press, 2004), 3. The Sentences of Peter Lombard (c. 1096-1160) stand among the most influential theological writings in the history of the church. Well over a thousand commentaries or glosses on the Sentences were composed by subsequent thinkers, including Bonaventure, Thomas Aquinas, and Martin Luther. Most medieval university professors of theology were expected to lecture through the Sentences. "No piece of Christian literature has been commented upon more frequently - except for Scripture itself." 2. Rosemann, Peter Lombard, 17. In our treatment of Hugh of St. Victor, we observed how Hugh's hermeneutic informs the structure of his systematic theology. The relationship between biblical interpretation and dogmatics remains quite close in Lombard's work (and in fact Lombard studied under Hugh in Paris). As Philipp Rosemann observes, the Latin term sententia has multiple meanings. Primarily, it "signifies an opinion expressed by an authoritative writer." However, "sententia also means the deeper - as opposed to merely grammatical or literal - sense of Scripture, which indicates the origin of the authoritative statements of the Fathers in scriptural interpretation." In other words, the Sentences are meant to express the dogmatic content of Scripture as read by the church catholic throughout history. Lombard's hermeneutic is one of not merely individual but also ecclesial interpretation. 3. Peter Lombard, The Sentences Book 1: The Mystery of the Trinity, tr. Giulio Silano (Toronto: Pontifical Institute of Mediaeval Studies, 2007), 3-4. This is what the god of this world works in those children of unbelief [2 Cor. 4:4, Eph. 2:2] who do not submit their will to reason, nor apply themselves to the study of doctrine. Instead, they strive to make the words of wisdom fit what they have dreamed up; they follow not the reason of truth, but of what pleases them. Their evil will incites such people not to an understanding of the truth, but to the defense of what has pleased them; they do not desire to be taught the truth, but turn their ears away from it and toward fables. [2 Tim. 4:4] ... inflicting upon others the itching of their own ears [2 Tim. 4:3] under the new dogma of their own desire. Lombard is explicit about his intent to minimize his own voice and opinions and to instead amplify the voices of past authorities. However, for him the ultimate emphasis is to be placed not even on the teachings of the authorities themselves, but to the objective reality which they witness about. Much like Hugh before him, Lombard is operating from an Augustinian hermeneutical and sacramental framework. He begins with the statement that "all teaching concerns things or signs." From there he enters into a brief summary treatment of Augustine's De Doctrina Christiana, explicating the distinction between signs and things (all signs are things, but not all things are signs), and between things to be used, things to be enjoyed, and things which are both to be used and enjoyed. 4. Peter Lombard, The Sentences Book 1, 11. Some things are to be enjoyed, others to be used, and yet others enjoy[ed] and use[d]. Among those which are to be used, there are even some through which we come to joy, such as the virtues and powers of the spirit, which are natural goods. Before we treat of signs, we must discuss all of these, and first the things which are to be enjoyed, namely the holy and undivided Trinity. Note the inversion of our modern expectations here. By speaking of human knowledge through signs, active use of things, and enjoyment of things, it might seem to the reader that he has grounded his theological enterprise in human subjective experience, in our perspective and our reality. Yet it is precisely this treatment of signs and things which prescribes a theological system that begins with the reality of God, the thing most fully to be enjoyed. God is the source of our human knowing and action, as well as the teleological end in which we find our fulfillment in joy. Thus, discussion of God's being is prioritized even over extended treatment of the signs by which we come to know about God. This, then, is Peter Lombard's outline of the structure of the Book of Sentences. A discussion of the Trinity (things to be enjoyed) will precede a treatment of creation (things to be used), which will lead to a third part of the work devoted to man and angels (things that are objects of both enjoyment and use). This will be followed by a theology of the virtues (things through which we enjoy), before the work comes to an end in a part on the sacraments (signs). The doctrine of the incarnation is treated at length alongside the theology of the virtues. "In becoming flesh, God deigned to be not only the ultimate end of human existence, but the road to that end as well; in other words, God, the ultimate object of enjoyment, allowed himself to be used for human salvation," Rosemann writes. "The virtues find their place in book 3 because Peter approaches them from the point of view of the human Christ; put differently, Peter analyzes the virtues in their most perfect and exemplary state." Lombard's moral theology is Christologically governed. We see how human beings are to live and act by looking not at ourselves but at the perfect image of our humanity. Medieval commentators did not teach the Sentences uncritically, but often found it to be an edifice upon which they could construct their own theological formulations of traditional catholic teaching. Yet one could not stray far from the organization and instincts of the Sentences without some explanation for it - Lombard's text was the systematic theology text to come to terms with, and valued not only for its pedagogical usefulness but its ability to serve as a foundation for new theological endeavors. Lombard's careful attention to the orders of being and knowing, biblical hermeneutics, and church authority in the shaping of his system should likewise inspire fresh reflection on these things in our own day and age. What is systematic theology? How ought we to define its tasks and objectives? In this post I am beginning a new series which will comment on various definitions of systematic theology, past and present. While I am interested in observing both consistency and development, this series will by no means offer a comprehensive historical survey of the question. My aims are more modest. I simply want to provide opportunities for us to think carefully together, in concert with voices from the church catholic, about the nature and character of systematic theology. Our first featured theologian is Hugh of St. Victor (c. 1096–1141), a Saxon canon regular who became the head of the school at the Abbey of St. Victor in Paris. His book De Sacramentis Christianae Fidei is arguably the first major work of systematic theology in early medieval scholasticism. 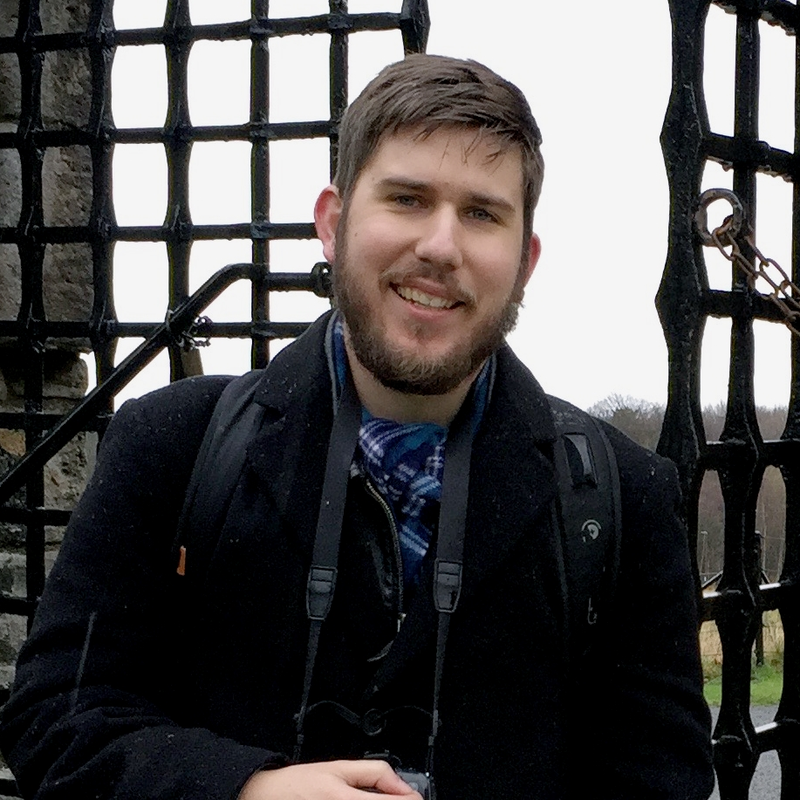 For Hugh, the task of systematic theology is to provide an ordered account of the subject matter of Sacred Scripture. So, what is this subject matter? 1. Hugh of St. Victor, On the Sacraments of the Christian Faith, tr. Roy Deferrari, ed. Joseph Saint-George(Ex Fontibus, 2016), 3. Emphasis added. The subject matter of all the Divine Scriptures is the works of man's restoration. For there are two works in which all that has been done is contained. The first is the work of foundation; the second is the work of restoration. The work of foundation is that whereby those things which were not came into being. The work of restoration is that whereby those things which had been impaired were made better. Therefore, the work of foundation is the creation of the world with all its elements. The work of restoration is the Incarnation of the Word with all its sacraments, both those which have gone before from the beginning of time, and those which come after, even to the end of the world. Accordingly, De Sacramentis Christianae Fidei is split into two books, one covering the work of "foundation" or "institution", the other covering the work of "restoration". 2. Hugh of St. Victor, On the Sacraments, 4. On the surface, the organization of topics in these two books appears to be merely chronological, a narrative sequence of biblical events in salvation history. For Hugh, this is a necessary consequence of the task of tracing out origins and ends. In order to discuss salvation, one must first discuss the fall. In order to discuss man's fall, one must first discuss his created state, and so on. Hugh's aim is to present the exitus-reditus movement of human existence without structurally straying far from the order and internal logic of the biblical account. 3. Hugh of St. Victor, On the Sacraments, 5. 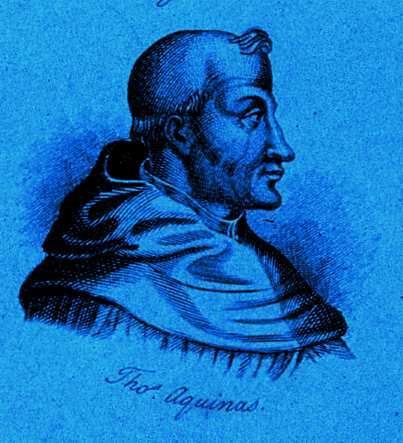 The organization of Hugh's system is heavily funded by an Augustinian hermeneutic, in which words and things in Scripture are sometimes signative of other things and meanings. "This subject matter Divine Scripture treats according to a threefold sense: that is, according to history, allegory, and tropology." Hugh's Didascalicon not only followed but in many ways enlarged and built upon Augustine's work in De Doctrina Christiana. For Hugh, the narrative of Scripture is not merely historical but sacramental, an unfolding of mysteries from which doctrine may be derived (hence the title of his summa). God's works of foundation and restoration are performed in certain ways in order to teach humanity about his being and nature. Hence, for Hugh the creation of the universe in six days is historical fact, but historical fact with doctrinal content. The purpose of De Sacramentis Christianae Fidei is to help students grasp the doctrinal content discovered via the second stage of biblical interpretation, allegory. 4. Hugh of St. Victor, On the Sacraments, 5-6. Emphasis added. It is clear that all the natural arts serve divine science, and that the lower wisdom, rightly ordered, leads to the higher. Accordingly, under the sense of the significance of words in relation to things history is contained, which, as has been said, is served by three sciences: grammar, dialectic, and rhetoric. Under that sense, however, consisting in the significance of things in relation to mystical facts, allegory is contained. And under that sense, consisting in the meaning of things in relation to mystical things to be done, tropology is contained, and these two are served by arithmetic, music, geometry, astronomy, and physics. Besides these, there is above all that divine science to which the Divine Scripture leads, whether in allegory or in tropology; one division of this which is in allegory, teaches right faith, the other, which is in tropology, teaches good work. In these consist knowledge of truth and love of virtue; and this is the true restoration of man. Allegory is a sort of theological and typological interpretation of Scripture, attesting to the unity of its content in relation to its divine origin. Tropology is the moral interpretation of Scripture from which ethics and righteousness are derived. Such a hermeneutic internalizes the exitus-reditus movement within the reading of Scripture. One begins with history (the foundation), then moves to allegory and tropology (the faith and good works, respectively). The very unfolding of this movement draws one into the movement. Hugh is attempting to order systematic theology in accordance with biblical epistemology: first we are taught by nature and history, then we are given faith, then we pursue faithful actions. Hugh's reluctance to stray far from the historical sequence of Scripture even in his treatment of its doctrinal content is indicative of some hermeneutical modesty and concern about overly speculative and fanciful allegoresis. 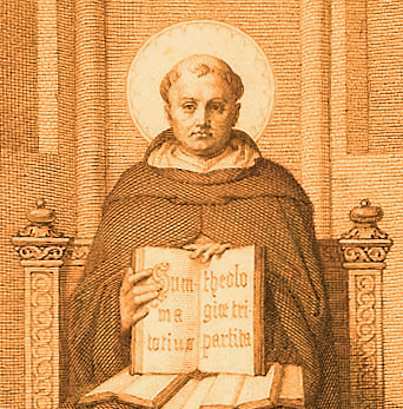 The medieval tradition would continue on this trajectory, with Thomas Aquinas eventually concluding that only the literal sense of Scripture is necessary for the exposition and defense of sacred doctrine. Perhaps most important for our interests is the observation that Hugh's systematic theology is shaped by a concern for pedagogy and spiritual formation, influenced by the work of Augustine. Theology is here presented not as an academic curiosity but as a spiritual discipline, one of growth in the faith for the purpose of Christian devotion toward God and right action before the world. For both Hugh and Augustine, it is critical that Scripture's mode of teaching ought to shape our own theological pedagogy. Both are interested in the perfect instructive rhetoric of Scripture. Often in our modern world we divide the substance of content from the method by which it is taught, without allowing the former to inform the latter. Scripture, however, is not a mere collection of useful facts or ideas, but cultivates a certain kind of thinking and living in relation to God. For Augustine and Hugh, theological pedagogy ought in some way to imitate the method by which Scripture guides its reader from historical and sensible things to divine and mystical meanings. We need not wholly embrace the Augustinian hermeneutic in order to feel the force of their concern here. Perhaps we might ask ourselves in what ways our theological teaching seeks to be biblical not merely in content, but in method. What would such pedagogy look like in connection with a Reformed hermeneutic which avers that Scripture only has one sense, the literal? How might such a pedagogy give shape to systematic theology itself? Is Thomas Aquinas' Christology truly Trinitarian? Modern critics have charged that it is not, for a number of reasons. The root suspicion is that Thomas has prioritized metaphysical speculation over attentiveness to biblical testimony about Christ. What bad fruit does this methodological imbalance bear? Critics direct us to Thomas' argument that any person of the Trinity could hypothetically have become incarnate, a supposition that seems to open a chasm between the inner life of the Trinity and the divine economy. Furthermore, critics argue that Thomas has a disproportionate interest in the hypostatic union, to the detriment of other important themes (such as the role of the Holy Spirit in Christ's life and activity). Dominic Legge, The Trinitarian Christology of St. Thomas Aquinas (Oxford: Oxford University Press, 2017), xviii + 261 pp. Is Thomas Aquinas' Christology truly Trinitarian? Modern critics have charged that it is not, for a number of reasons. The root suspicion is that Thomas has prioritized metaphysical speculation over attentiveness to biblical testimony about Christ. 1. Dominic Legge, The Trinitarian Christology of St. Thomas Aquinas (Oxford: Oxford University Press, 2017), 2-3. What bad fruit does this methodological imbalance bear? Critics direct us to Thomas' argument that any person of the Trinity could hypothetically have become incarnate, a supposition that seems to open a chasm between the inner life of the Trinity and the divine economy. Furthermore, critics argue that Thomas has a disproportionate interest in the hypostatic union, to the detriment of other important themes (such as the role of the Holy Spirit in Christ's life and activity). Dominic Legge sets out in this book to resolve such concerns by demonstrating that Thomas' Christology really is Trinitarian. That is not to say that Legge's approach is purely defensive. The text is elevated by the author's enthusiasm for the interconnectivity of Thomas' system of thought and for the dynamic movement of salvation to which it bears witness. In fact, to consider this movement is to be taken up into it, for in our contemplation of Christ and his work our thoughts are lifted up to the Trinity itself. With this in view, Legge's authorial voice strikes a tone that is at once both scholarly and devotional. The book is divided into three parts. The first part sets Thomas' Christology within the broader context of his account of the divine missions. That is, we are given a detailed overview of the place of Christ and his work within the dynamic movement of salvation. The second part then examines more closely the doctrine of the incarnation in its relation to the Trinity. Finally, the third part treats the function of the Holy Spirit in Thomas' Christology. In the acknowledgements, Legge credits the scholarship of Gilles Emery with providing the "impetus" for the book. Legge's indebtedness is clearly manifested in the first part, which primarily distills Emery's insightful analysis of Thomas' doctrine of God in his work The Trinitarian Theology of St Thomas Aquinas (Oxford: OUP, 2007). The material here is concise and dense, introducing the reader to the divine processions, missions, habitual grace, and various categories of causality in just two chapters. Those already familiar with these ideas will find this a well-written, refreshing overview, but for anyone new to these aspects of Thomas' thought it may be slow going. 2. Legge, 13. Italics in the original text. The first chapter opens with an examination of the exitus / reditus motif, which is central to what Thomas has to say about creatures in their relation to God. As Legge observes, the motif predates Thomas, featuring in the works of Albert the Great and Peter Lombard. However, Thomas provides an "original contribution" to theology by using the motif to account for "how the Trinitarian processions themselves ground both creation and the Trinitarian dispensation of grace." This allows Thomas to elaborate upon "the scriptural and Patristic teaching that we return to the Father through the missions of the Son and the Holy Spirit." Grasping the Trinitarian pattern of the exitus / reditus movement is thus crucial for properly understanding Thomas' Christology. The discussion of the divine processions in this chapter also introduces Thomas' "Word Christology." That is, the second person of the Trinity as "Word" proceeds from the Father in a manner analogous to how the word of thought proceeds from the intellect that conceives it. Another name for the Word is "Image." Alternate names for the Spirit are "Love" and "Gift." The Spirit proceeds from the Father and Son in a manner analogous to how the will proceeds from intellect and thought. Many of these names are grounded in the biblical witness and explicated by analogical reflection upon the function of word, love, gift, and will in the natural world. From here, Legge moves into a general introduction to the divine missions. Said missions have two relations: a procession and a terminus. The former is eternal, subsisting in the inner life of the Godhead. This ad intra relation is immutable. The latter pertains to creaturely reality, as in an economic mission a divine person is made present to a creature. Such an event of grace entails no change in the being of God, but does effect change in the creature. Observation of this fact naturally moves Legge's analysis into a treatment of mixed relations in Thomas' thought. In the second chapter, Legge discusses the visibility and invisibility of the divine missions. Invisible missions are those in which, as mentioned, the divine persons come to "indwell" creatures with "sanctifying or habitual grace." What is this grace, exactly? Legge lingers here to establish some careful distinctions. Uncreated grace refers to the presence of a divine person. Habitual grace is an infused "quality of soul," functioning as "the created formal cause by which a human being is elevated and given to participate in a new and high nature, the divine nature itself." In other words, habitual grace is the change brought about in the soul by the new creation of the creature in salvation. The active presence of the Triune persons to the creature effects this new creation. Certain gifts flow from habitual grace. These gifts are not detached from the divine persons. Rather, the divine persons are supremely the gifts given to the creature. The creature is "assimilated to - conformed to, made like, made the bearer and possessor of - the Son and Holy Spirit according to their eternal processions." Creaturely movements analogous to those processions are thus sanctified toward perfection by this divine presence. The creature's faculties of thinking, willing, and loving are thus made holy by the act of the divine persons. Since these movements are likenesses of the divine processions, the persons lead the creature through thought, will, and love back to the Father. Thus, the exitus-reditus motif is displayed in grace. Legge closes this section with a lengthy discussion of of causality in grace, laying more important groundwork for later chapters. The visible missions are the incarnation and the various manifestations of the Spirit in Scripture (at Christ's baptism, the transfiguration, and Pentecost). The visibility of the incarnation is obviously unique, while the Spirit is merely manifested through creaturely signs. As creatures can only come to know the invisible through the visible, God saves us in a manner that befits our nature. As we are conformed to the divine persons made present to us, God makes his grace visible to the world through the church. The third chapter addresses the fact that it was the second person of the Trinity specifically who became incarnate. Returning to Thomas' Word Christology, Legge explains that "in the Word is included not only all that God knows of himself, but also, within that knowledge of himself, the ideas of all creatures. As a corollary, Thomas says that creatures are in a certain expressions and representations of what is in the Word." The analogy here is that of craftsmanship: the thing made by the artist represents the idea conceived in his intellect. The Word is thus the exemplar cause of all creation, the person through whom the eternal ideas and plan of creation are spoken into existence. As such, it is uniquely fitting that the Word, as the wisdom through which all things were made and ordered, should become incarnate to save all things. Furthermore, just as a word reveals the heart of the one who spoke it, so also the eternal Word in the incarnation reveals the Father who sent him. Thus, just as the Wisdom of God ordered creation, so also it is incarnate to reorder it back to the Father. While [this] adoption by sanctifying grace is efficiently caused by all three divine persons, we recieve in sanctifying grace and by way of knowledge a participated likeness of the Son's proper filiation, just as the Son, as Son, knows the Father perfectly (the first dimension discussed above). Our filial adoption draws us into the Son's unity with the Father (the second dimension); "born again" or "regenerated" by grace, we are made like him who is eternally begotten (the third dimension). We thus participate in a likeness of his eternal and perfect reception of the riches or inheritance of the Father (the fourth dimension). Under each of these aspects, the salvation that comes to us through the incarnation generates a likeness in us of the eternal filiation of the Son. In other words, Aquinas brings to light the wisdom of the divine plan which, through the Son's visible mission in Christ, draws us into the Trinity - and ultimately, to the Father - as adopted sons and daughters through and in the Son. Furthermore, the second person of the Trinity is the eternal Image of God. Human beings also image God in a creaturely sense, but this image has been corrupted by the Fall. Thus, it is fitting that the eternal Image should become incarnate to restore the imago Dei in creatures. Just as this person's identity as Word indicates a certain affinity with creation (as the eternal Word has in himself the ideas of creation) so also his identity as Image indicates that affinity (human nature is in the image of God, and the second person of the Trinity is the eternal Image, thus the second person is uniquely fit to assume that humanity). Grace not only conforms us to the second person of the Son as God, but also as man. As we conform to Christ's new humanity, the broken image in our nature is healed. Legge lastly observes how Thomas ties the fittingness of the incarnation to the Son's biblical identitification as the author of salvation. The basic argument here is that the Spirit's eternal procession from the Son is revealed in the incarnation, since Christ in his humanity both achieves salvation and gives it to the world, and the Spirit is the eternal Gift of God. It was fitting that the Son become incarnate to give this Gift to humanity. Chapter four then deals with the relationship between the incarnation and the Trinity. As the Triune God is indivisibly united in all economic acts of salvation, the incarnation is accomplished by all three persons, with the Son as the sole terminus of this act. Thus, the Son alone is incarnate while remaining unseparated from the Father and Spirit in being and act. Legge distinguishes the notions of the divine esse and personal esse in Thomas' doctrine of God. The former refers to the being common to all three persons of the Trinity, while the latter refers to their personal modes of being, i.e. their subsistent relations. Christ's humanity is related to the divine esse through the Son's personal esse, and thus is determined by the Son's eternal filial relation. This means, among other things, that Christ as man always acts "from the Father," as John 8:28 indicates. The main point being made here is that the Son's personal acts in his human nature are always characterized by his personal esse. Thus, Christ's acts reveal him to be the Son of God and thus also reveal the Father and Spirit to whom he is eternally related. That is why Christ states that the one who has seen him has also seen the Father (John 1:14, 14:9). 9. Thomas Aquinas, Summa Theologiae Tertia Pars, 1-59, tr. Laurence Shapcote (Lander, WY: Aquinas Institute, 2012), 47. In the Summa Theologiae III.3.5, Thomas argues that "Whatever the Son can do, so can the Father and the Holy Spirit, otherwise the power of the three Persons would not be one. But the Son was able to become incarnate. Therefore the Father and the Holy Spirit were able to become incarnate." As previously noted, this argument has been a cause of concern for many readers of Thomas. Legge clarifies that this means any divine person could have served as the terminus of the unified divine act of the incarnation. This does not suggest that the incarnation of the Son was arbitrary, for Thomas goes to great lengths to emphasize his unique personal fittingness for the incarnation. Thus, Thomas' actual argument is something like this: "The incarnation requires a divine person as its terminus. In the Trinity there are three divine persons, thus three possible termini. There is a certain fittingness to the incarnation of the Son specifically. The fact that the Son becomes incarnate (and not the Father or Spirit) displays the wisdom of God and his plan to order creation in a fitting way." In the third part of the book, Legge explores the Holy Spirit's relationship to Christ's habitual grace (chapter 5), his human knowledge (chapter 6), and his human actions (chapter 7) in Thomas' thought. Lastly, he looks more closely at how Christ gives the Holy Spirit (chapter 8). Christ's habitual grace is really and formally distinct from the grace of union and not merely reducible to it, but is also necessarily entailed by the grace of union according to a triple title: (1) on the side of God, the mission of the Holy Spirit always accompanies the mission of the Son just as, in God, the Spirit proceeds from the Son and love from wisdom; (2) from the perspective of the created effects of a divine mission (always efficiently caused by all three persons together), habitual grace is a created effect of the divine presence, which is understood in Christ part excellence by the union; (3) the end of the union is that Christ would act as man in the world, which requires, on the side of Christ's created nature, that he receive the habitus given in habitual grace that would dispose him to that action. This leads into a discussion of the fact that, in his humanity, Christ receives the whole Spirit (totum spiritum). This is not to say that in other instances of creaturely reception of the Spirit, the divine person is somehow only partially given. Rather, the presence of the Holy Spirit in creatures brings about created effects which can be only partial. For example, a prophet "must wait for the Spirit to come to him" but Christ has the fullness of the Spirit from the "first instant of his conception." The Spirit proceeds from the Word, and Christ's human nature is hypostatically united to that Word. Again, the relations of the Son's personal esse affect his humanity. Christ's creaturely nature does not command the Spirit, but is given mastery over the gifts in his humanity which come from the Spirit. Thus, the incarnate Christ is not only full of grace but pours out the Spirit of grace upon humanity. Here the ordered priority of the grace of the hypostatic union to the habitual grace of Christ's humanity may be more fully seen. The union of Christ's humanity to the Word helps to specify the relation of the Spirit and habitual grace to said humanity. In chapter 6, Legge discusses Thomas' views on Christ's human knowledge, specifically his possession of the beatific vision and his divinely infused knowledge. These come not only from the Holy Spirit who is poured out on Christ's humanity, but also from the Word to which that humanity is united. Again, these two sources are ordered. Because of the hypostatic union, Christ's humanity receives the whole Spirit, including the gift of the beatific vision. Christ's humanity cannot grasp the divine light of the Word by virtue of the hypostatic union alone, but must be intellectually illumined by the Spirit. Secondly, Christ's humanity is infused with divine knowledge of the "mystery of grace," i.e. prophetic knowledge about the divine plan of salvation. Again, both Word and Spirit serve as properly ordered co-principles of this knowledge. Chapter 7 zeroes in on the subject of Christ's habitual grace. It was necessary for the Spirit to be poured out in fullness upon Christ's humanity so that he would have the gifts of habitual grace for his virtuous and salvific human acts. Legge here treats Thomas' understanding of Christ's actions as theandric, in which his humanity is an instrument of the Word that acts in and through it. As Legge specifies, Christ's humanity is a conjoined instrument, such that "the actions of the human nature are not simply the actions of a separated instrument, but are properly attributed to the Word himself as the subject who is acting in and through that human nature." prepare man to be moved directly by God; they "proportion" and "dispose" man's powers and even his supernaturally infused virtues and charisms, so that the divine movement of them is not extrinsic (like a movement by violence) but rather profoundly interior. Neither do man's powers and virtues merely "cooperate with" the divine movement, as if acting alongside and parallel to the divine movement; rather, they are disposed to be "inspired" or actuated by God according to what Thomas calls a "divine instinct". This means, too, that Christ's humanity is not only moved by the Word acting in and through it, but also by the Spirit whose gifts activate his human powers and virtues. This is why, Thomas argues, Scripture speaks of Christ being "led by the Spirit" (Luke 4:1). The Spirit proceeds and acts from the Word, so that again the instrumental movement of Christ's humanity is construed according to the Trinitarian order of relations. Lastly, chapter 8 discusses Christ's pouring out of the Spirit upon humanity. Legge observes that Augustine did not argue that Christ poured out the Spirit as man, but only as God. Aquinas diverges from Augustine somewhat by arguing that while only God gives the Spirit authoritatively, Christ's humanity does give the Spirit instrumentally or ministerially. "Augustine does not speak in this register about Christ's humanity," argues Legge. "It is a unique and genuine contribution of the Master from Aquino, and a point on which Aquinas was unique among thirteenth-century theologians. ... Aquinas gives Christ's humanity and its concrete history a weight and scope vastly greater than his contemporaries." The Holy Spirit unites us to, conforms us to, and gives us participation in Christ's humanity, on which the fullness of the Spirit and the gifts of grace have been poured out. Thus, through our spiritual union with Christ we are given a share in the gifts of the Spirit. This is repeatedly framed in terms of adoption: we receive the spiritual gifts (our inheritance) that have been poured out upon Christ's humanity. Legge's book clearly demonstrates the Trinitarian structure of Thomas Aquinas' Christology, especially underlining the medieval doctor's robust Word-Christology and Spirit-Christology. There is much here that is fruitful for discussion and consideration. I will not venture to critically evaluate Thomas' complex views on grace here, though I will say I understand those views much better after reading this book. Many commonplace misunderstandings of Thomas' thought are dispensed with in this text. Legge's writing style is academic and precise while still attuned to the spiritual gravity of the subject matter. All in all, the book is a must-read for any scholar wishing to engage with Thomas' theology or with the subject of Christology in general.